The Wood Compartment Mail Organizer is a 36 compartment mailroom sorter, featuring large mail sorting slots built from 5/ 8" compressed wood with adjustable hardboard dividers. 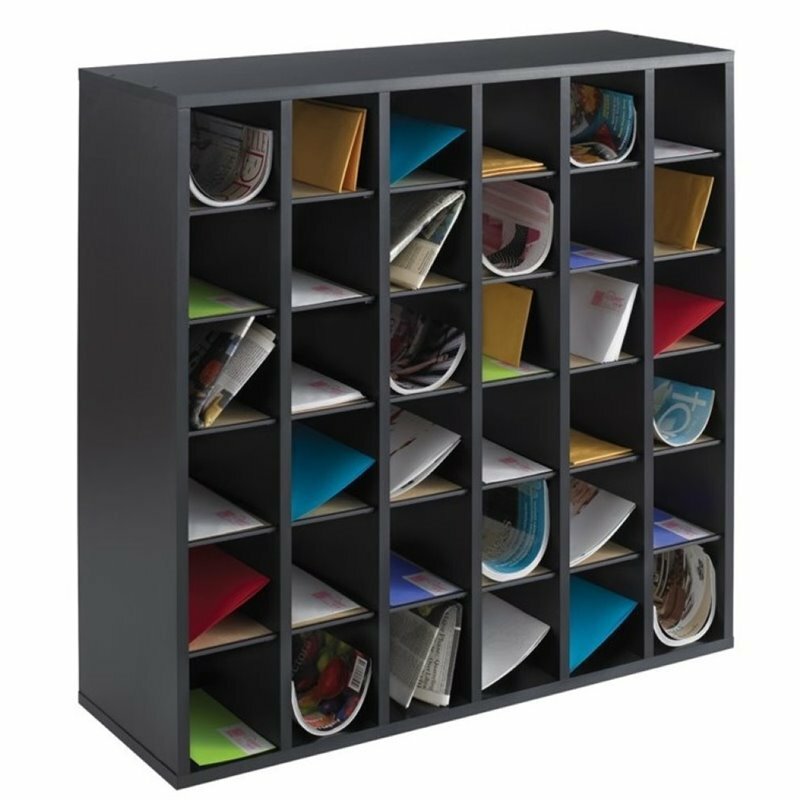 A fiberboard back with laminate finish, the mail organizer can be stacked up to two high. Features a gray plastic molding that acts as label holder (labels included).